Paper, Pens and Pretty Things : Delightful Challenge Thursday – My Favourite Things & A New Release! Delightful Challenge Thursday – My Favourite Things & A New Release! Hello, how are things? Well I hope! Now you may or may not have noticed a rather fabulous, colourful badge in the sidebar to your right! Well I have some news!! I am here today for what will be a regular Thursday slot for me as I am now a member of the Delightful Challenge DT! Woo hoo! A couple of months ago, completely out of the blue, I got an email from the wonderful Wendy Hall, aka Louby Loo, inviting me to join this year’s team!! And of course I said YES!! Super excited to be a part of this amazing team and get to work with Wendy’s fabulous images! So onto the job in hand and today the new challenge coincides with a brand new release and our theme this week is My Favourite Things (Favourite Embellishment)! Now the new character that I got to play with is called Birthday Alien Andy and he is available in the shop here. I think he is totally fab and absolutely perfect for my brother’s birthday. Not because he looks like an alien you understand (well…………) no it’s because he has always been fascinated with UFO’s, conspiracy theories and stuff like that! So what’s my favourite embellie? Apart from my Hopeless Hand drawings you mean! J Well I do love my die-cut flowers but Alien Andy was having none of that, not in deep space anyway, no I had to resort to one of my other all-time faves, which are gems! They make great stars as it turns out!! Rocket (groan) over to the Delightful Challenges Blog to see the amazing inspiration created by the DT and join in with the fun! 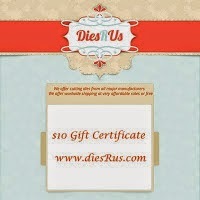 There is a fabulous prize too from our sponsor Dies R Us! Be sure to check out all of Wendy’s incredible designs in the shop too! You will be spoilt for choice! BIG congrats on your new DT place Jane, it's so well deserved. Your card is fabulous. I love the cute alien, the planets look wonderful and your rocket design is brilliant - how clever to make it from oval and circle die. Hi Jane...Congrats on your new DT place. Your card is absolutely fab, that Alien is just so cute, bet your brother will love this. Fabulous and fun Jane. Love to read your posts. Congratulations on your new DT spot. They are very lucky to have you on the team. Fantastic card!! I love the way you've used your alcohol inks along with your amazing Alien coloring. Reading your post is "delightful!" Welcome to the team - so glad to have you with us. This is awesome Jane and welcome aboard. Wow, this is so cool! Love the planets and stars you created, perfect! I´m sure your brother will love it! How awesome for you Jane - congrats!! And this card is amazing - it's so fun! A very cute colourful masculine card sweetie. Thank you so much for sharing your lovely creation with us at Creative card Crew. Congratulations to you Jane! Very well deserved! Now this card is absolutely WOWWWWW!!! I love the entire scene you did .. sooooo clever indeed! Love this! Love that little alien Jane...Thanks for joining Lia Stampz challenge! Just a lovely card and so glad you joined us at CRAFTY SENTIMENTS hope you will come back again very soon. Super cute card. I am very glad you entered this week at Tuesday Throwdown. I hope you had fun!!! See you back very soon to play in another fun challenge. Such a cute image, love the layout and colours. Thanks for sharing it with us over at Creative Moments.